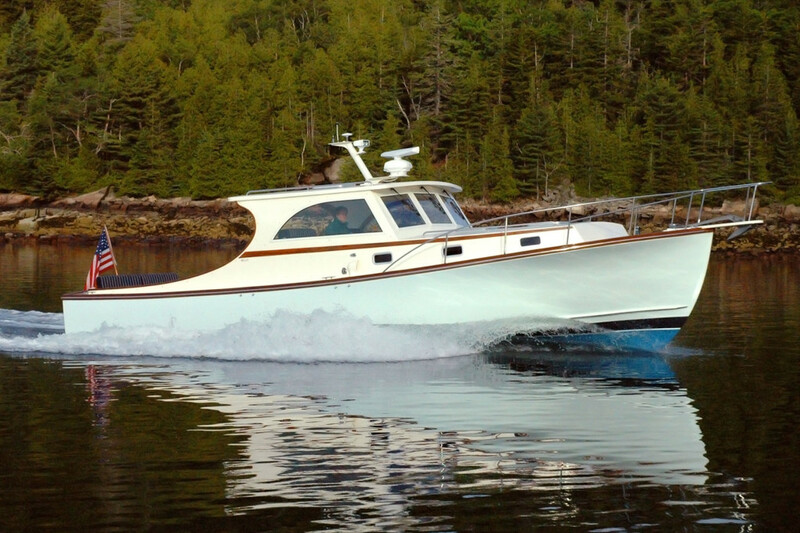 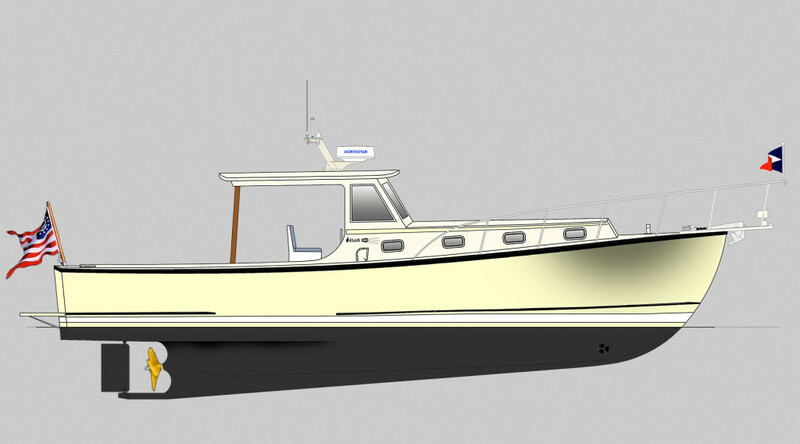 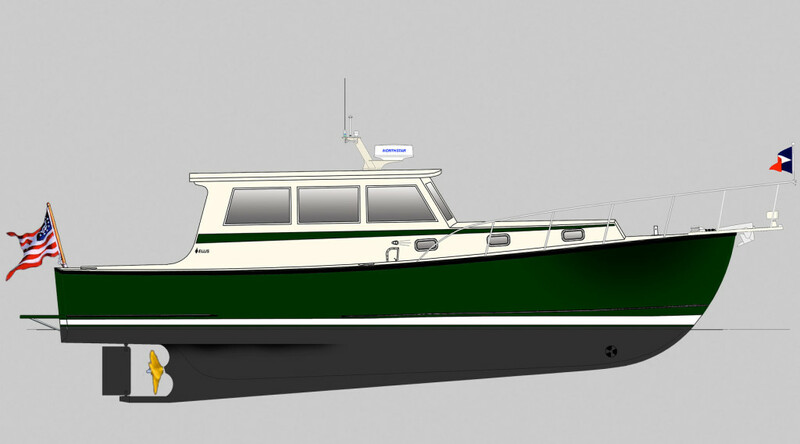 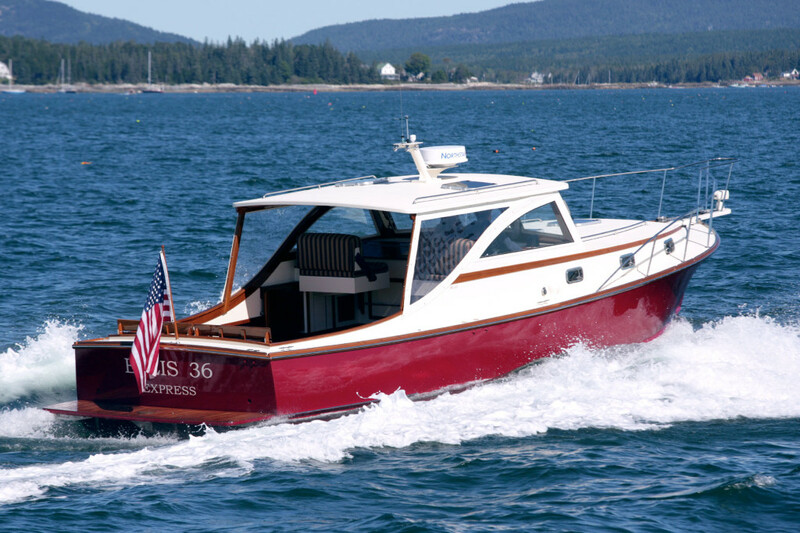 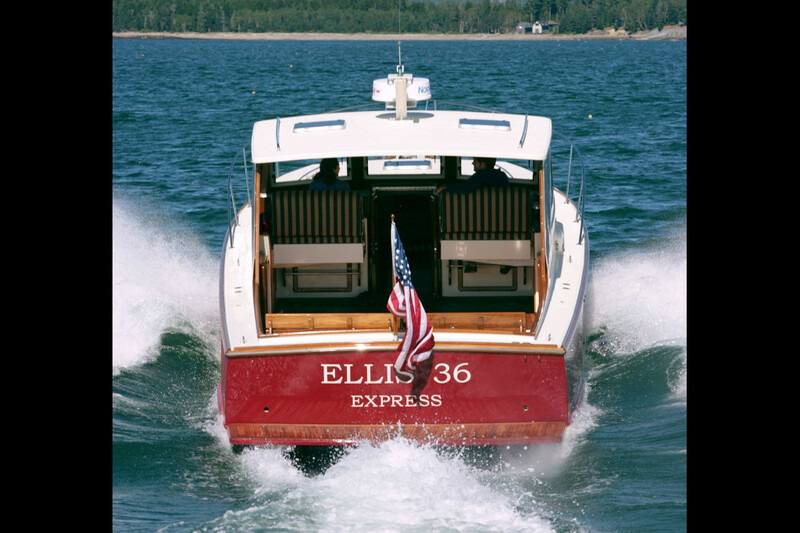 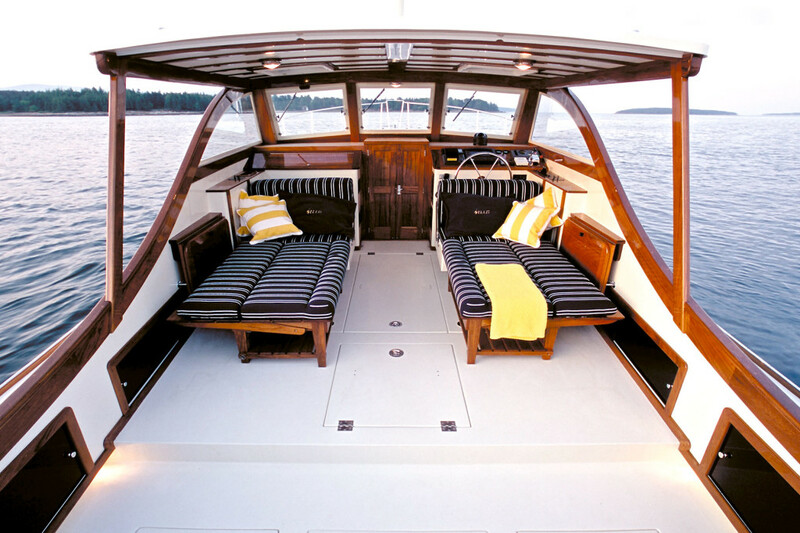 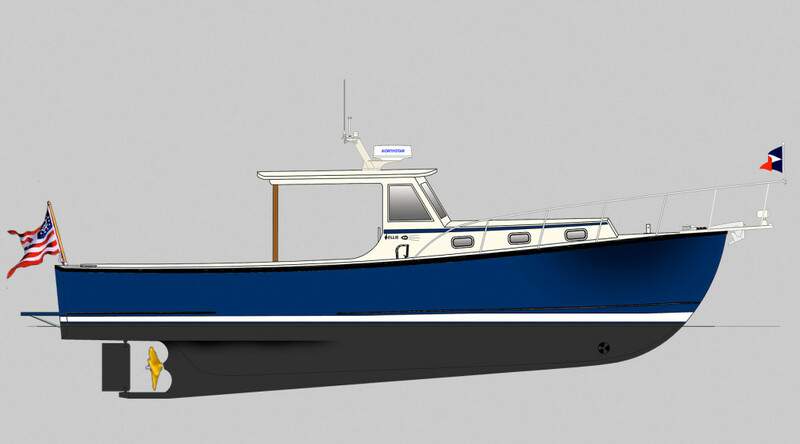 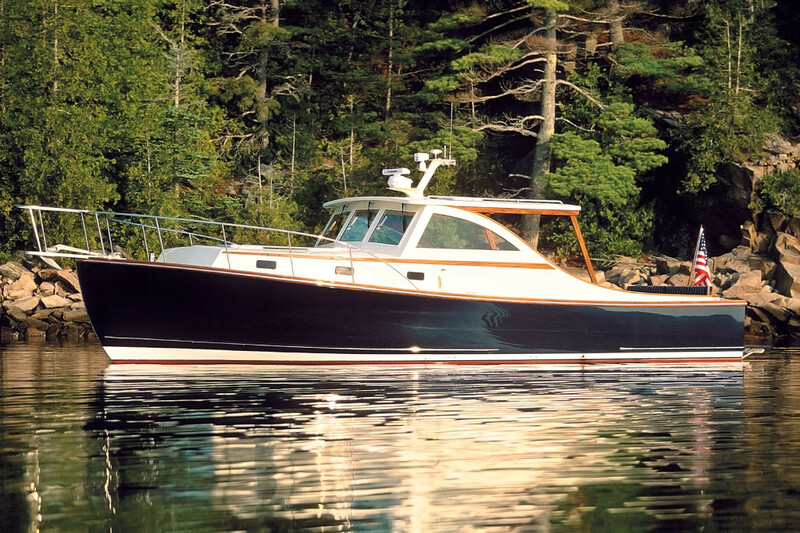 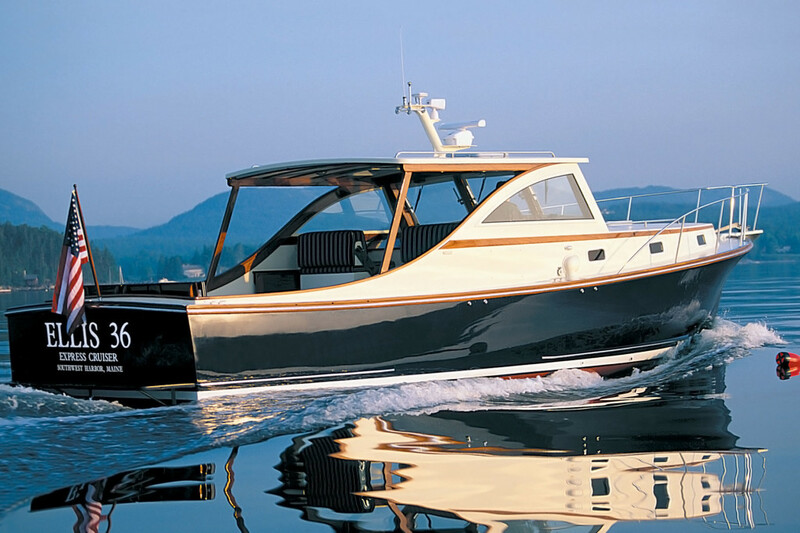 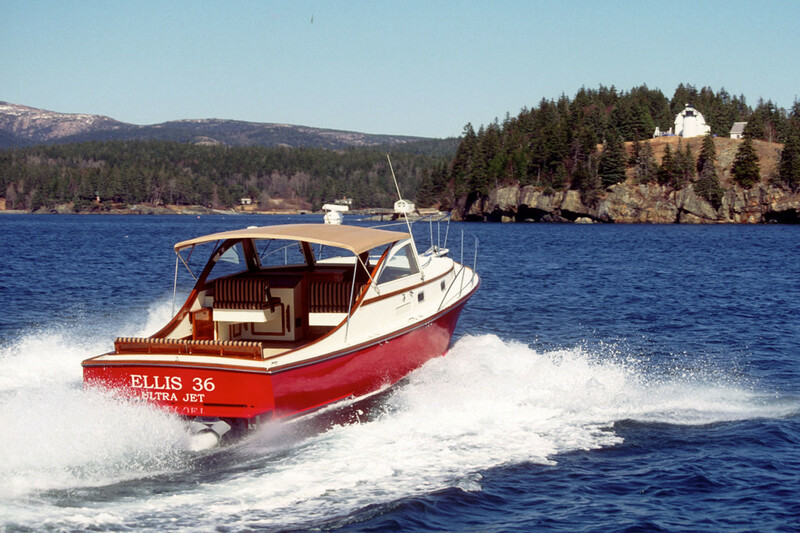 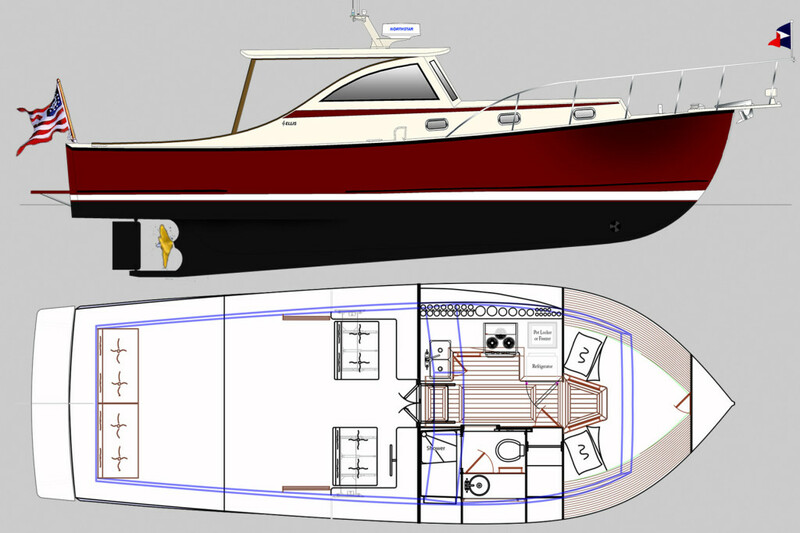 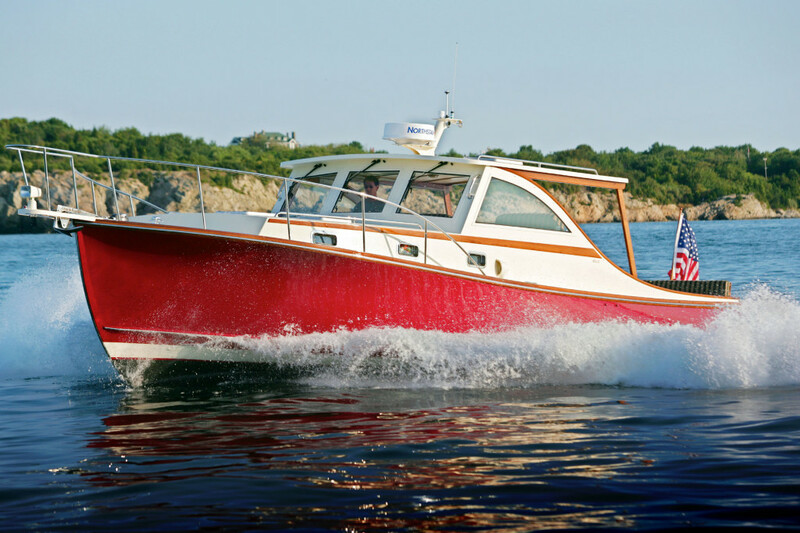 Inspired by the classic Bunker and Ellis boats that still navigate coastal Maine waters, the Ellis 36 Express Cruiser exemplifies the grace, style and functionality of a traditional Downeast yacht. 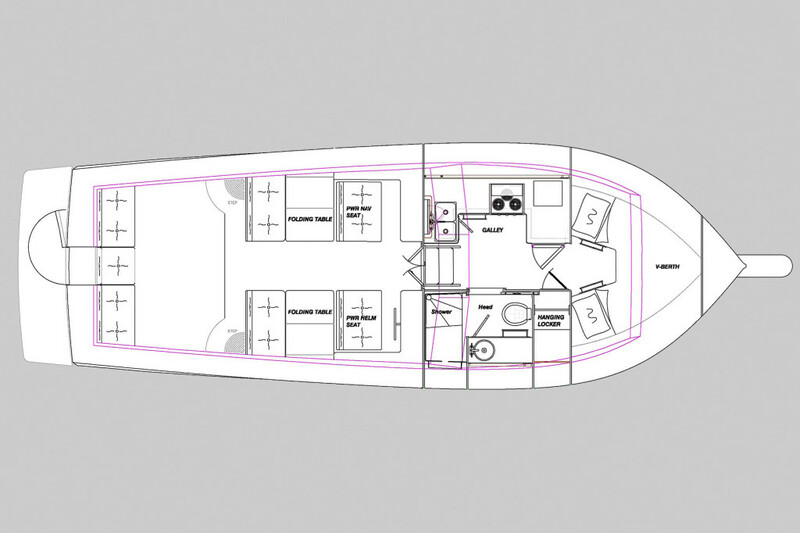 This windshield forward configuration may suit you if increased cockpit and shelter space is your primary concern. 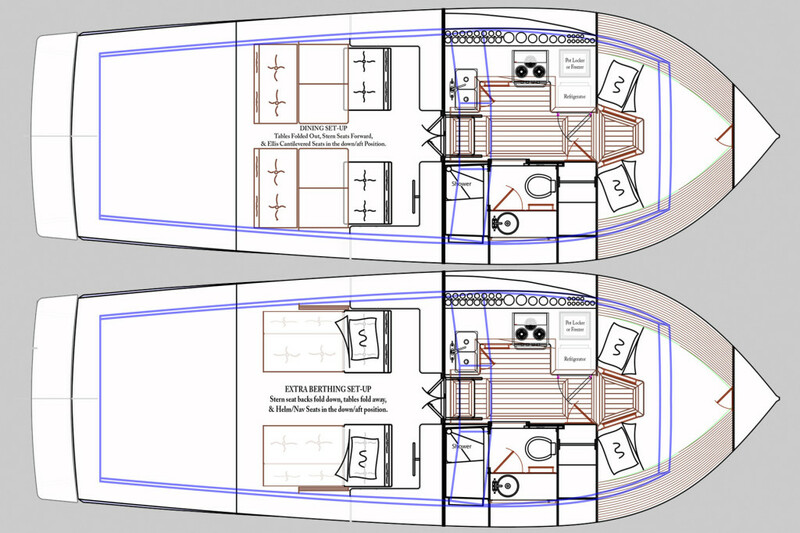 This shows the various shelter configurations. 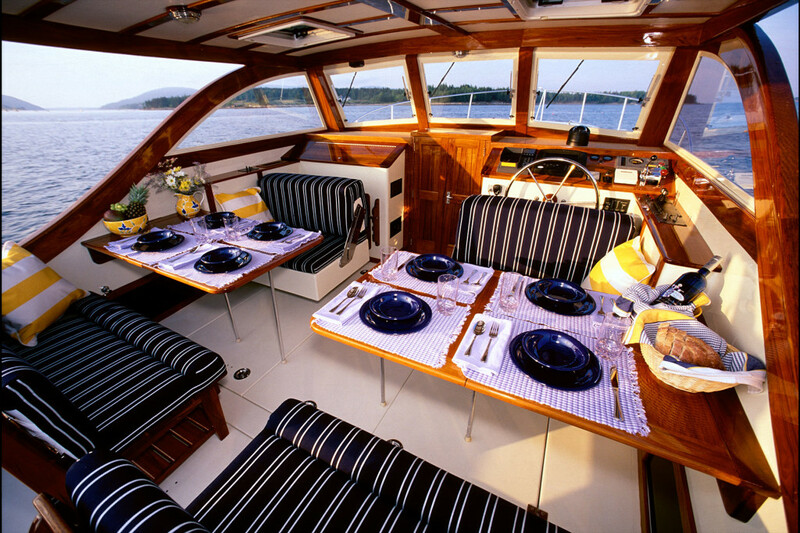 Tables out for dining and sleeping arrangement - all in the same boat. 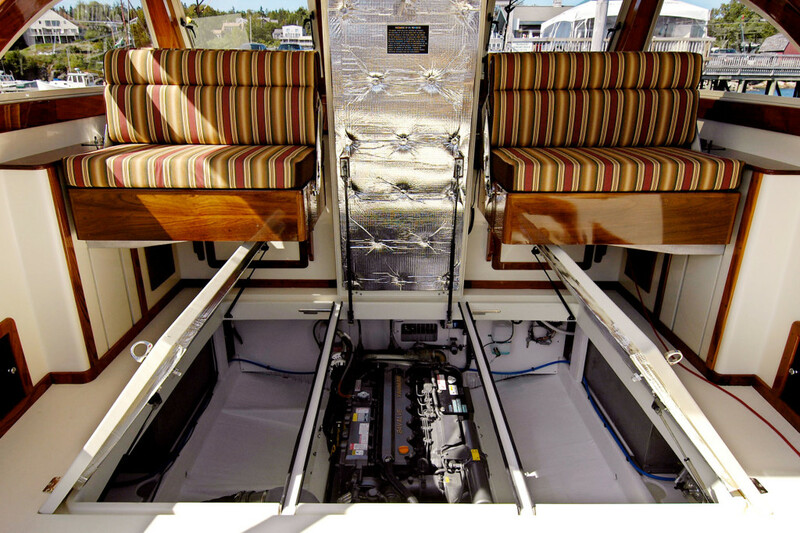 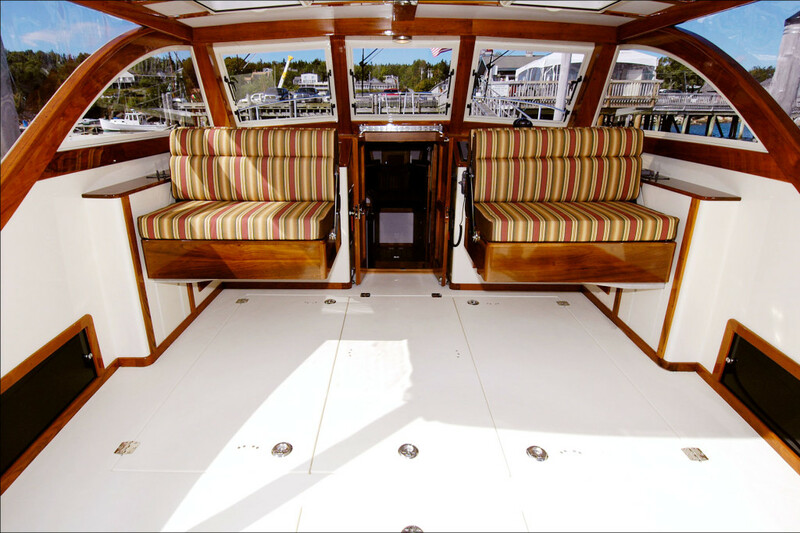 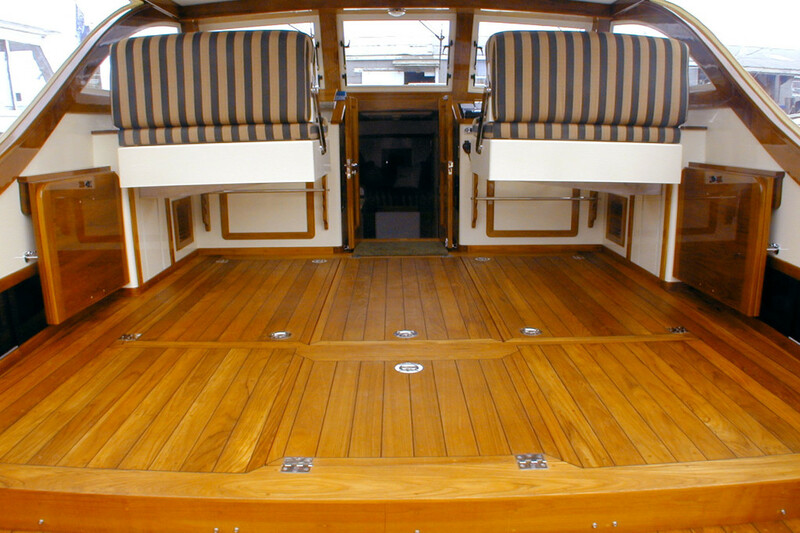 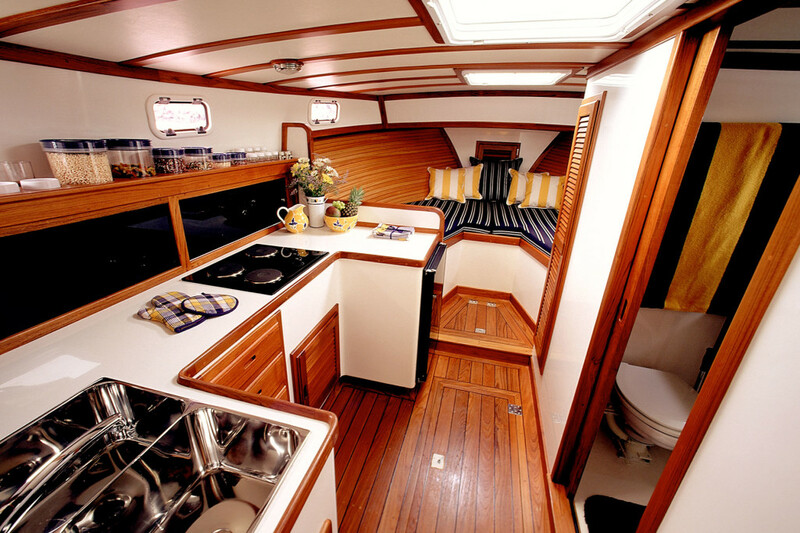 The stern seats fold back and line up with helm/nav seats. 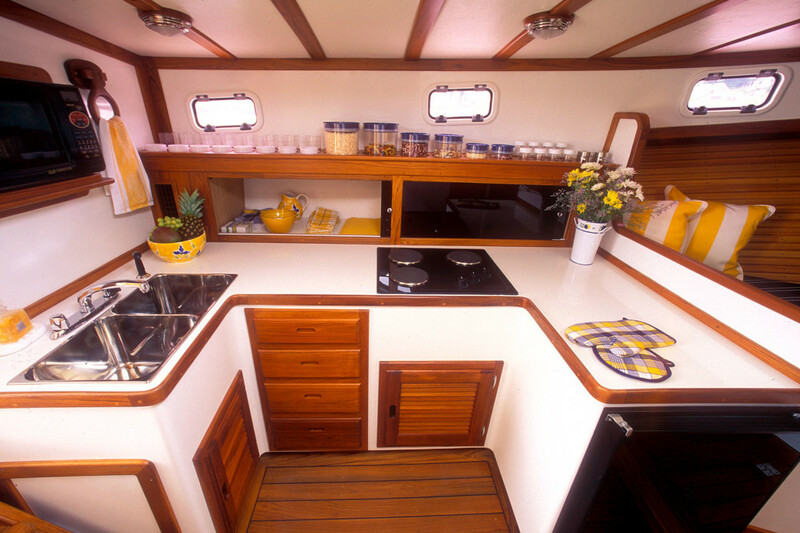 Optional extra cockpit seating arrangement with built-in boarding steps and transom door.